Gardening the Amana Way is the culmination of techniques that stretch back several centuries to central Europe, when adherents to a new faith called the Community of True Inspiration formed their own self-reliant communities. 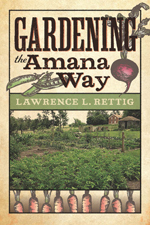 In this book, Larry Rettig, as a child of parents who were part of the communal life of the Amana Society, pays homage to the Amana gardening tradition and extends it into the twenty-first century. 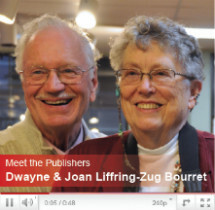 Rettig’s chapters on modern vegetable and flower gardening showcase his Cottage-in-the-Meadow Gardens, now listed with the Smithsonian in its Archives of American Gardens. 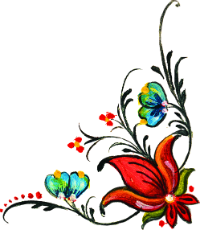 The author also includes traditional family recipes and shows the reader how to make hammered botanical prints.